Safety Comes First: Read Labels, Follow Directions, and Don’t Cause a Fire! Safety should be a top consideration when undertaking a project such as refinishing furniture. There are many safety issues to think about during the entire process – – some of which may seem obvious, and others that do not seem dangerous at first glance. It’s easy to bypass the warning labels on the sides of containers, but it is extremely important to heed the warnings that manufacturers provide! Warnings are put on chemical containers for a reason, and they are meant to help you prevent potential health complications and fires. 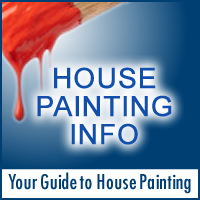 Paints, solvents and oils can cause irreversible damage to the eyes, lungs and skin. When using a sander to remove old finish on a piece of furniture, fine dust particles fly through the air, and goggles and dust masks can help prevent potential health problems related to the dust. Additionally, fumes are not healthy for the eyes or lungs, and chemicals are dangerous if they touch the skin and eyes. The fumes that are emitted when furniture finishing products are being used can cause serious health threats. They are downright dangerous to use in a non-ventilated room, and can cause permanent damage to the human body if inhaled. The chemicals that make up solvents can catch on fire very easily. The fumes that are emitted from solvents can ignite when they are exposed to something as innocent as a space heater or even a regular household furnace that is running in another room. Additionally, rags that have been soaked in oils, turpentine, or other solvents can spontaneously combust and burst into flames for no apparent reason. Never leave a pile of solvent-soaked rags lying in a pile, and always have good ventilation in any room where solvents are being used. Do not smoke anywhere near refinishing chemicals! Not only is it dangerous to throw away rags, paintbrushes, and other materials that have been used in the furniture refinishing process because they could cause a spontaneous fire, but disposing of chemicals incorrectly can cause irreversible damage to the environment. There are regulations on how get rid of such waste, which usually consist of putting the waste in a tightly sealed metal container or allowing the substances to completely dry before throwing them in the trash. Never pour paint or other chemicals down the drain. There is nothing scarier than discovering that a small child has gotten a hold of dangerous chemicals. When a child accidentally ingests chemicals or paint, there is only so much that a poison control center, a hospital or a doctor can do to reverse the potential damage that can result. Chemicals and paints can also cause blindness. In order to prevent accidents, make sure that children do not have access to any items — including hand and power tools – – that are used to refinish furniture. Refinishing furniture can be a fun and rewarding experience. It is always satisfying when a piece of furniture is transformed from a dingy old piece to something that can be used and admired by others. By taking the proper safety precautions before, during, and after a refinishing project, the end result will be positive and worthwhile!